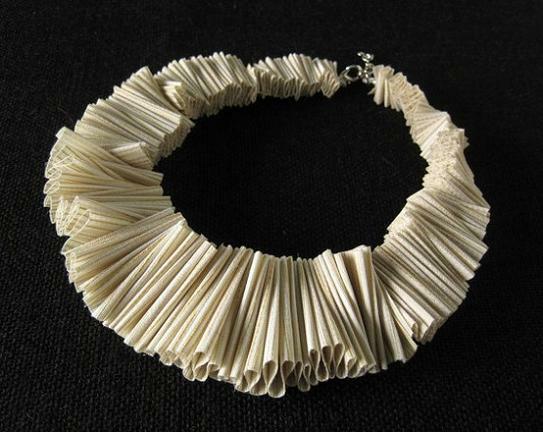 Fabric jewelry is an emerging trend these days. 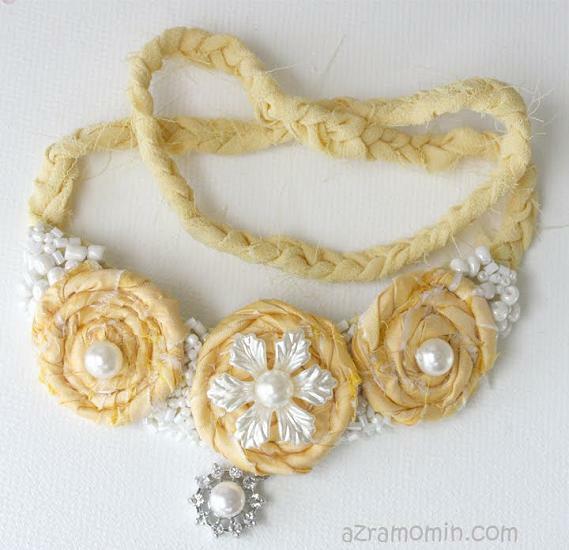 Have you ever imagined about crafting beautiful accessories using simple textile pieces. We are all interested in creative craft. DIY craft ideas are helpful for craft lovers and designers. 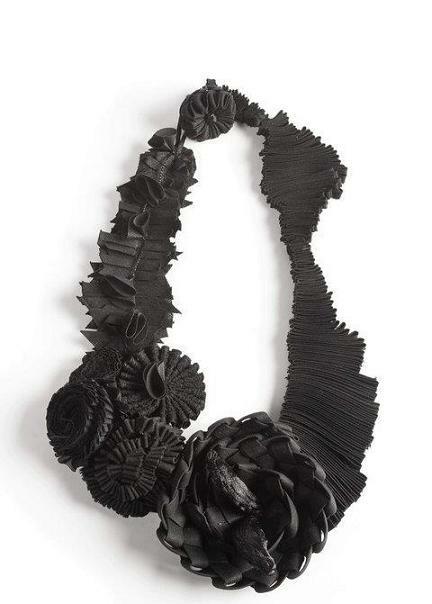 Today, I am talking about some inspiring accessories made of textiles. 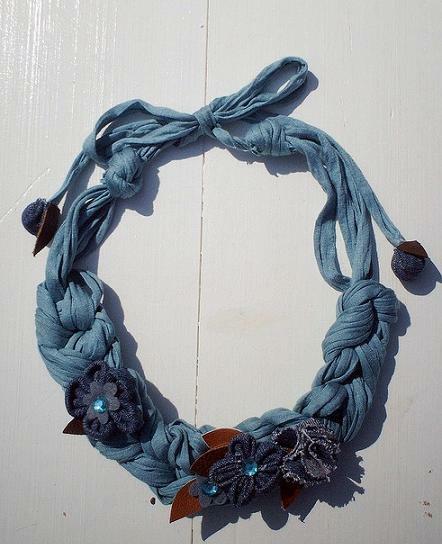 Let us check out some fabric necklaces and other accessories made of beautiful fabric. 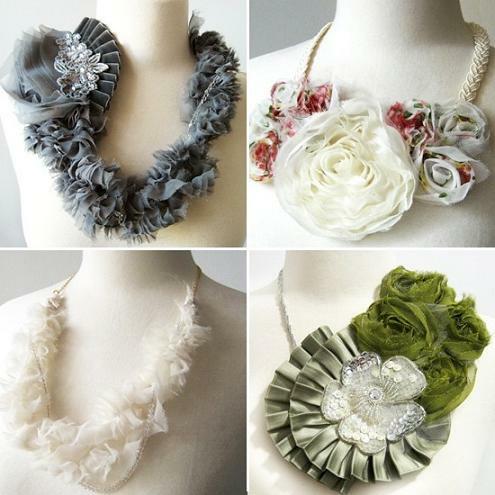 Use of textured fabric and colored textiles help you make beautiful jewelry items. 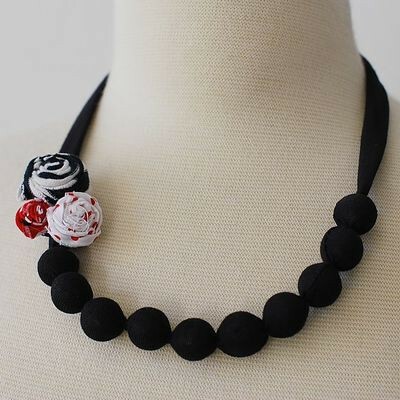 You can use fabric buttons and assemble it together to create a beautiful neck piece. Fabric beads with thread offer a better combination. Helps to add a perfect style to your bridal luncheon and parties. 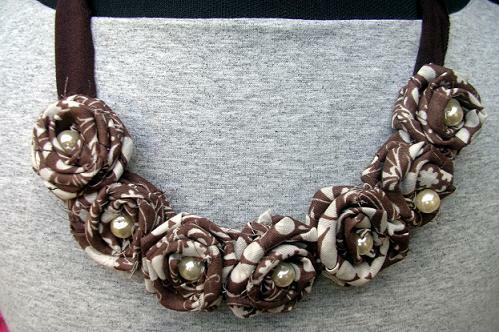 You can use cotton, chiffon, velvet or any other kind of fabric to make jewelry. 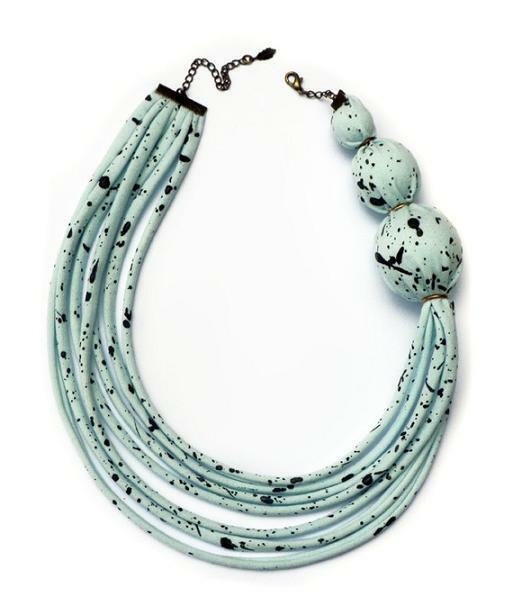 Here are some beautiful textile jewelry designs.